So I've been falling way behind with my posts. With my birthday this past weekend and midterms coming up it's been crazy! Do not fear, I have a plethora of photos to share and I shall get to them soon! I figured I'd start with my missed Fashion Friday beauty post. 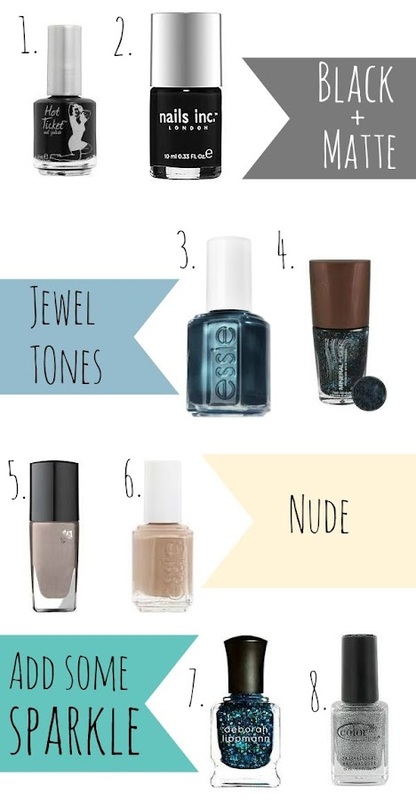 Here are the top nail color trends for Fall 2012!